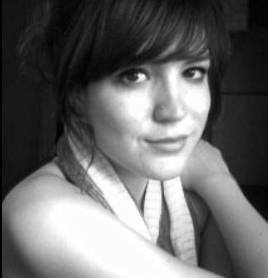 In 2009 Taylor Chang Babaian launched a line of false eyelashes designed to make women look and feel great. Her lashes are divided into three categories: natural, smoky, and krystal. The natural eyelashes are great for daytime, the smoky are perfect for a night out on the town, and the krystal lashes are adorned with Swarovski crystals. 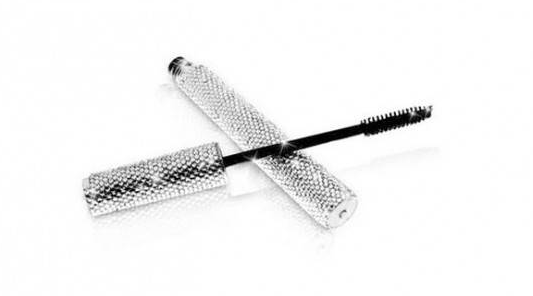 In 2011, the company designed an exclusive eyelash for Barneys in New York. 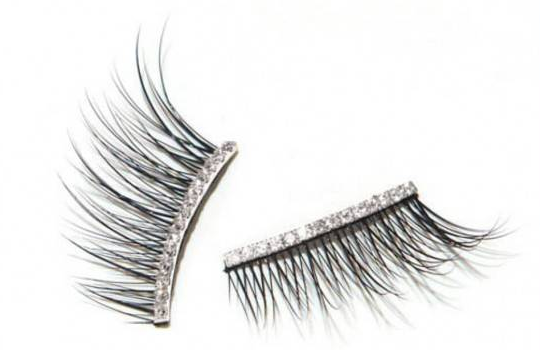 The lashes were made of diamonds and 18 karat gold with a price tag of $1,350. Essie Cosmetics was established in 1981 by Essie Weingarten. Her nail polish collections have graced the hands and toes of some of the world’s most elite models and celebrities. 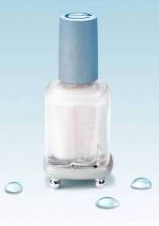 While her polish usually retails for $8, Weingarten released a special edition polish “I Do” which features powdered platinum in the platinum bottle. The polish sells for $55,000 and has been a hot ticket item for celebrities. Guerlain is a French perfume house established in 1828. Nowadays the Louis Vuittion group owns Guerlain and has since expanded their line to include beauty products such as makeup and skincare. 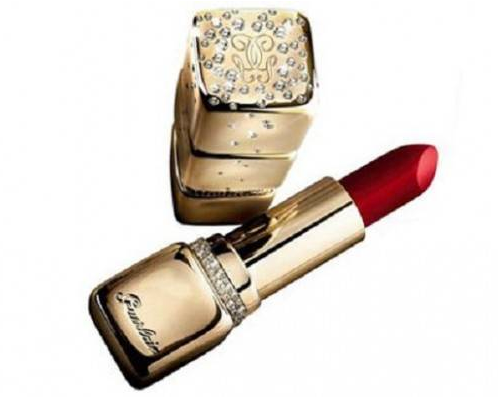 A tube of Guerlain lipstick typically costs around $48. 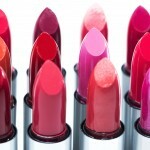 The company decided to release an exclusive lipstick with a hefty pricetag of $62,000. The tube is made of 18 karat gold and contains 199 diamonds weighing in at 2.2 carats. There are also rubies and emeralds coating the outside of the tube. The lipstick also comes with it’s own brush. If Essie’s “I Do” doesn’t satisfy your tastes for high end nail polish then perhaps Gold Rush will do the trick. This polish costs $130,740 due to its specially made bottle. The botle features 1,118 diamonds and comes in its own box enrobed in silk. 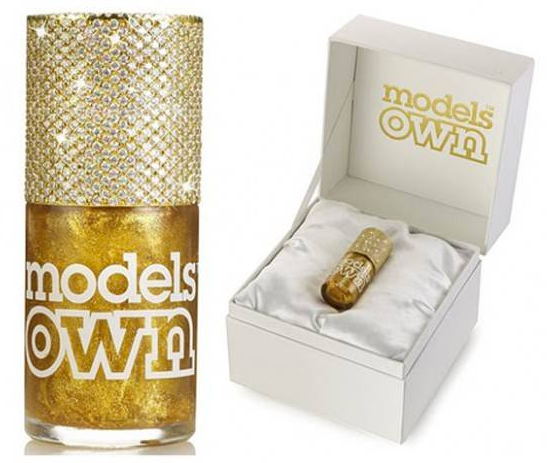 Normally Models Own nail polish sells for $8 making this bottle 16,340 times more expensive than a normal bottle. H. Couture is a now defunct cosmetic company that was established in 2006. The company began selling masacara in a tube adordered with 1,000 Swarovski crystals. When a client ordered mascara in a custom made gold tube the company decided it was time to step up their mascara game with a limited edition diamond encrusted mascara. For $14 million, clients could purchase a mascara casing made of 18 karat gold studded with 2,500 blue diamonds and a lipstick casing made of 18 karat gold with 1,200 pink diamonds. Included in the hefty price tag were lifetime refills, 24/7 customer support and major discounts on future products.